Review : French Lavender Body Oil by EO! I am a fan of body lotions as opposed to creams or anything else. But occasionally I like to try body oils and when I came across this one by the brand EO Products (which is one of my favorite skincare brands), in my favorite scent, lavender, I decided to try it. I bought this online on iHerb, a US based site that ships worldwide. It comes in a tinted dark blue plastic bottle with a convenient flip open cap. With oils, you will need only a little for each application. As such, this bottle which contains 236ml should last me several months!. It is not greasy at all and gets absorbed into the skin really fast. It’s moisturizing. It is clear and is a very light weight oil. Body oils, according to me, should be applied to slightly damp skin for maximum absorption. It’s perfect when you have just stepped out of the bath. The scent of this oil is just so magical and invigorating. Unlike the lavender scented air freshners you come cross that smells horrid, this one is as natural as it can be. This brand is cruelty free & gluten free and goes by the motto ‘Love life, Live clean’. It doesn’t contain synthetic fragrances, artificial colors/dyes, parabens, phthalates or SLS, which is just great ♡. I have previously tried their Rose & Chamomile body lotion which had made me a huge fan of this brand. You can read that product review here. The ingredients of this oil are, in no particular order – Organic Jojoba oil, sweet almond oil, sunflower oil, safflower oil, lavender essential oil, lavandin essential oil and vitamin E.
Price : $12.74 (Approx AED 47) for a bottle containing 236ml. It’s totally worth it and I highly recommend you try this out, especially if you are a huge fan of lavender scent like me!. Valentine’s Day 2017 Gift Ideas! 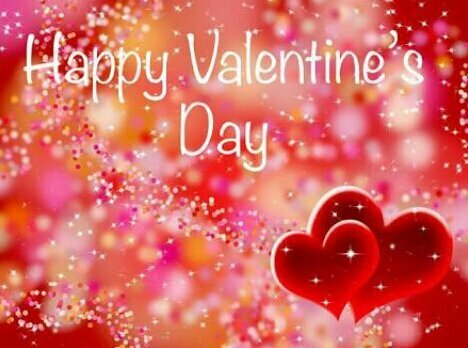 Yet another Valentine’s day is here, a day to express how much you love your loved ones.. Gifts can be any, as long as they are thoughtful. I have done several gift guides earlier with different themes. This time around, my focus is on ‘skincare’ because great skin is a blessing and if you could gift that to some one you hold close to your heart, well why not?. The basic products of a good skincare routine are Cleanser, Toner, Serum, Oil & Moisturizer. I will be suggesting 5 products from each of these categories, based on personal experience & popular reviews that these products have garnered. I promise that the value that you get these products for, is unmatched. Simply click the images to view details / go to the site that sells it. For more cleansers, click here. For more toners, click here. For more facial oils, click here. For more creams, click here. This entire gift guide is based on my favorite online shopping site ever, iHerb, which offers not only the best value in the world for any product that you need, but also gives you 5% of your bill total back to you (as store credit). They ship worldwide from US. To UAE, they ship in 3-4 days via DHL, right to your doorstep.